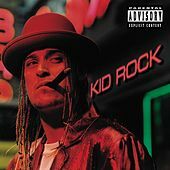 Highlighted by "Bawitdaba" and the revelatory (in 1998) "Cowboy," this is the album that made Kid Rock an MTV, tabloid and even Rolling Stone megastar after eight years of obscurity. No matter how you slice the overdose of white trash posturing, chugging guitars and metal beats just made for the stripper pole, "Cowboy"'s fast food appeal and redneck aesthetic marked a decided first for the mainstream. The title cut proves why Rock, regardless of his massive popularity, has a certain irrefutable cache. For better or for worse, "I Am the Bullgod" combines hip-hop and, um, grunge.